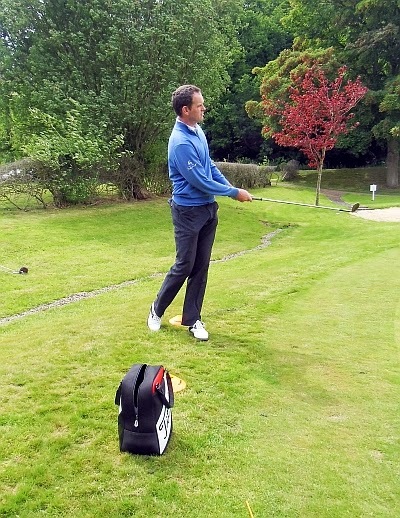 Caledonian Walks: Playing Golf Again! One of the sports I used to play when I was young was golf and it was something to do on the long summer holidays on the Isle of Arran, along with cycling. I gave it up to concentrate on cycling but since walking through golf courses on my bird-watching trips I took the notion to try and play it again. The activity in the bird world dies down in the summer when the young are growing up and the next exciting time is in the Autumn when migration takes place. A few weeks ago I was handed some golf clubs by a friend and found, to my surprise, that I still could remember how to play the game. I found myself hitting balls down the fairway in a reasonably straight line. I decided to take the game up again. On a visit to the local driving range the assistant told me my steel-shafted John Letters golf clubs were old fashioned and I was persuaded to buying a set of Wilson graphite-shafted clubs instead. Then a friend sold me a Wilson golf bag and golf trolley and I was ready for a round of golf. 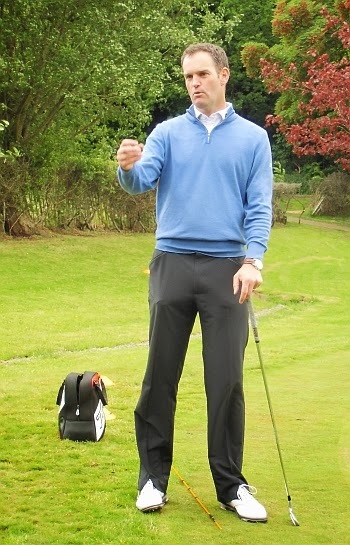 Some lessons from Scottish professional David Patrick were very informative and gave me a great insight into the short game. This is a very important part of the game. After practicing my driving, chipping and using irons I was ready to play my first round of golf after a few years. My local municipal golf course has 9-holes and is a very good course for a beginner. In fact it is as good as a private at a fraction of the cost with a round of golf costing 6.00 GBP during the week and 6.90 GBP at the weekends. One thing which is new are the hybrid woods which have replaced some of the more difficult irons. Irons 1-5 are difficult to use as they have little loft and the hybrid woods are far easier to use. 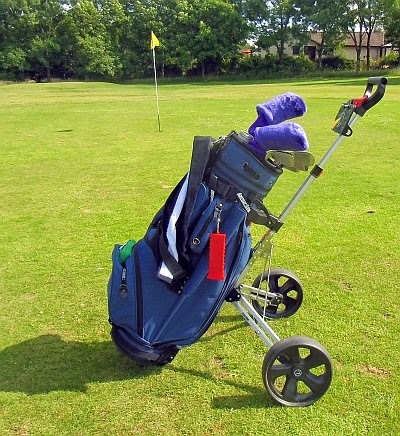 They can also be used on the fairway. The woods are now made of metal and not wood and are much lighter. I liked the hybrids as they were quite easy to use. My golf clubs and trolley. I had found quite a number of playing golf balls in the rough around the perimeter of the course while bird-watching so I have not had to buy any yet. I have a large number of practice ones as they seem to appear all over the course, but they are not so good for playing a proper round of golf. So far I have found more golf balls than I have lost. The weather has also been very warm and sunny and very pleasant. I'm looking forward to my next game at the weekend.